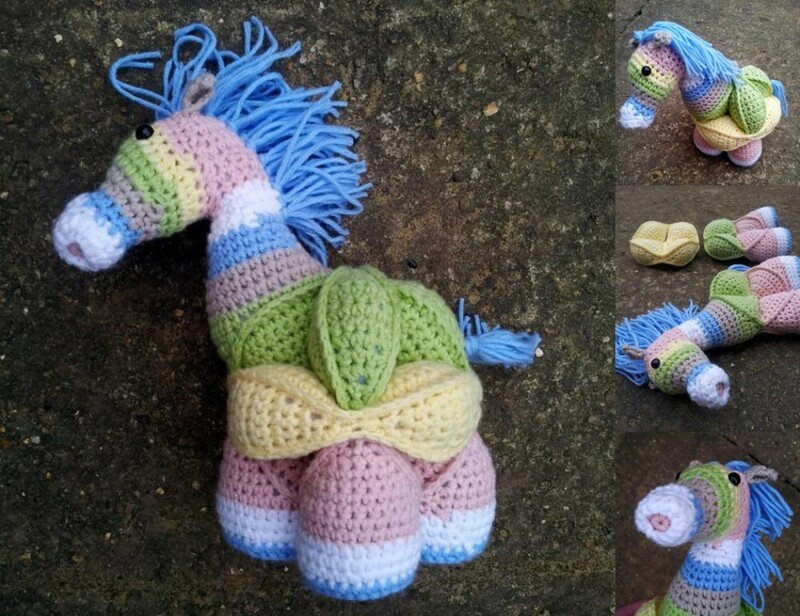 Hermione the Crochet Horse Puzzle has been ready for ages. BUT! 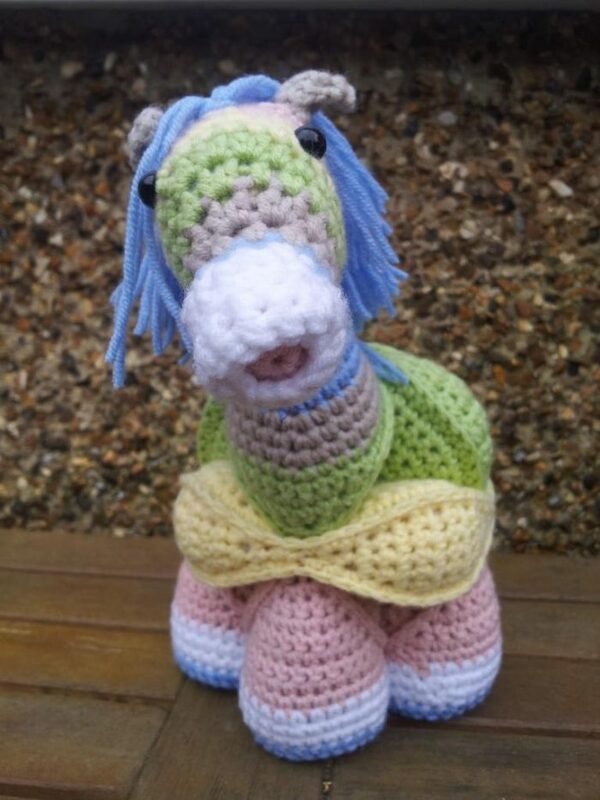 I have had such mixed feedback from my testers that I have delayed posting the pattern. I don’t know what I was hoping for… Maybe for the pattern to become miraculously simple? But that isn’t going to happen. She’s not difficult, bless her socks, but her head IS DETAILED. 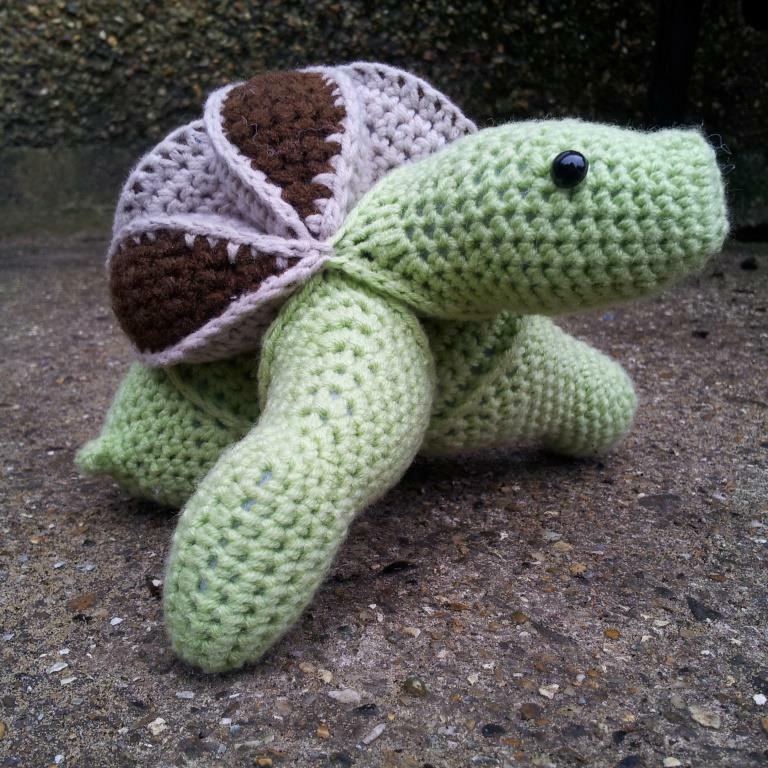 So this is definitely a project for Advanced Crocheters. Hermione is about 20 cm tall and about 20 cm long (from nose to tail). 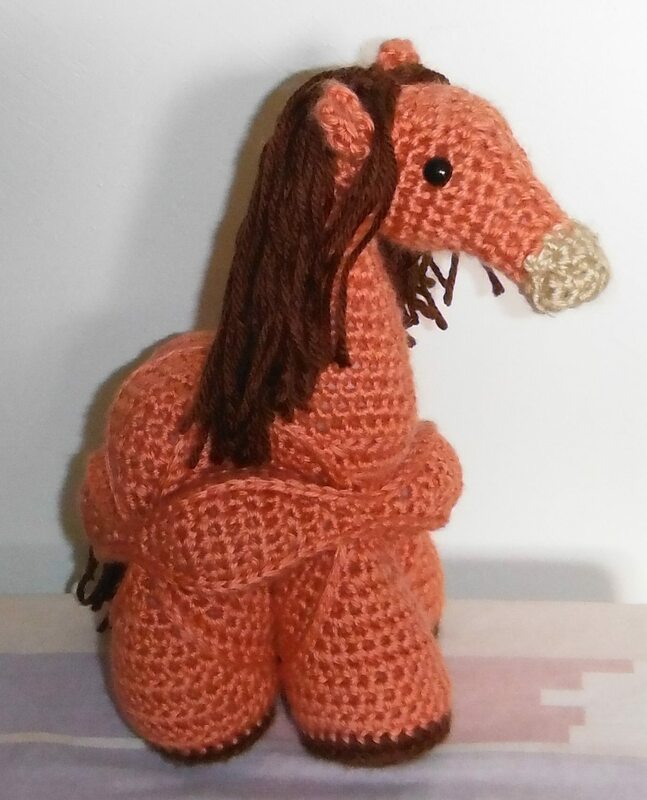 She is based, like all my other Amamani, on the Crochet Amish Puzzle ball (which is a free pattern) and as such she comes apart into three segments that can be assembled and taken apart at will. Although I have written the pattern for six colours, it is easy enough to ignore all the colour changes and just make her all one colour. I do suggest that you make the very tip of her nose a different colour though, otherwise, she might look a bit blah! When joining in the round, join to the first st (NOT the ch-1) with a sl st and ch 1. Make your first st in the NEXT st, NOT the same st as the sl st join. Make your last st in the back end of the sl st join, which is quite tight, but that is how I learned to crochet (and design). Join to the first st of the round (NOT the ch-1, it doesn’t count as a st), and continue. The fact that the last st is quite tight to get into serves as a confirmation that I have worked all the stitches in that round. If my last st is NOT tight to get into, it prompts me to check my stitches for that round. The seam is less gappy than when you make your first st in the same st as the sl st join as you are not skipping the sl st AND the ch-1 when joining. 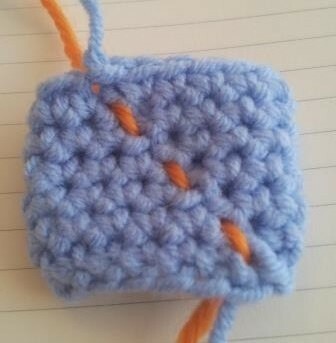 This is simply a piece of yarn placed over your work after the initial ch-1 of Round 2. It is then flicked forwards and backwards after each initial ch-1 to form a running stitch up the length of your work. If you join in the round as instructed above (and in the pattern), your running stitch marker will creep forward on every round (so slightly to your left if you are right-handed and slightly to your right if you are left-handed). If it runs straight up your work or leans to the other side, you are not joining correctly. Please see THIS TUTORIAL if you need more help. Short Rows are a little-used design element that helps you shape items and change the direction of your work. They are called short rows because they are worked back and forth over a defined number of stitches and do not begin and end where traditional rows/rounds begin and end. As a landmark, I refer to the “step” formed by the turn at the beginning of the previous short row. Because one missed stitch can alter the whole look of your finished item, and it is so easy to miss a stitch, it is VERY important that you use these “steps” as instructed. If you cannot see the “step” I am talking about, feel free to use a stitch marker to mark the first and last st of each short row. I have done a Partial Walkthrough of the Rhinosaur Head in which I explain joining in the round, running stitch markers and short rows in more detail. There are plenty of photos and everything I say there also applies to Hermione’s head. Feel free to go and have a look! Where can I find the Pattern for Hermione? You can find the pattern in my Ravelry shop HERE. I hope you continue to enjoy these Amamani as much as I do. 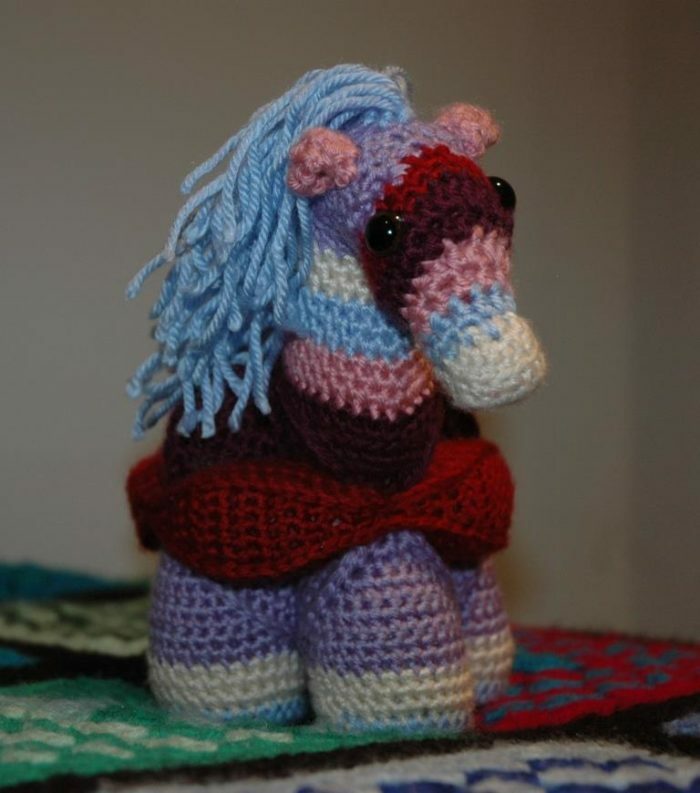 I would like the pattern for the horse.A friend wants one for Christmas. As it states on the blog post, the pattern is on Ravelry Linda. Theses toys look terrific! I’m sure my grandson would love the dinosaur. They certainly are fabulous. So glad you like them!